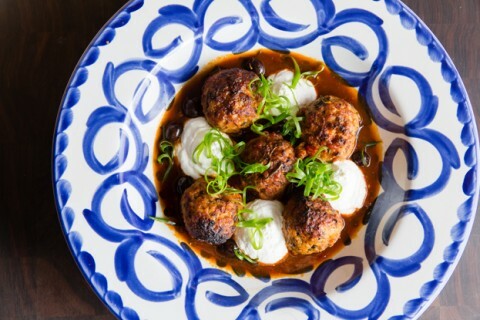 Helmed by Executive Chef Lena Ciardullo, Marta is a Roman-inspired pizzeria from Danny Meyer’s Union Square Hospitality Group located on the hotel’s ground floor. The Italian restaurant draws inspiration from the tradition of rustic Roman pizzerie—local haunts that churn out thin, crackly-crusted pizzas—and features a lively open kitchen with two wood-burning ovens and an open-fire grill. 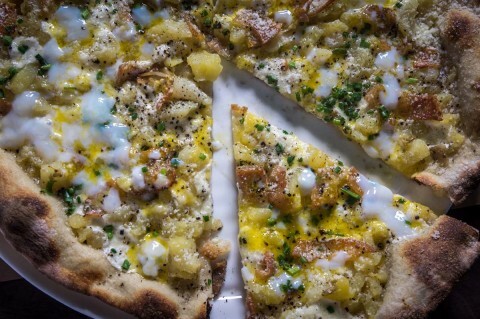 Marta’s menu offers fresh, innovative takes on classic Roman pizzas as well as original dishes that celebrate seasonal ingredients from local farms and purveyors. Marta is open throughout the week, lunch, brunch, and dinner. A selection of pizzas and other dishes are also available through room service. Marta is a non-tipping restaurant. Hospitality included. For more information, please visit martamanhattan.com. Marta accepts reservations up to 28 days in advance. A portion of the dining room is set aside each night for walk-in traffic. Guests can also dine at the bar and pizza counter on a first come, first served basis. Joe Tarasco is the Associate Director of Operations of Marta, Caffe Marchio, and Vini e Fritti. He opened Marta as the Chef de Cuisine in 2014, and was named Executive Chef in 2016. Joe was on Maialino’s opening team as Sous Chef in 2009 and became Executive Sous Chef in 2011. Previously, Joe worked at Gramercy Tavern, Le Bec-Fin, and Frankies Spuntino. Jessica Weiss is the Executive Pastry Chef of Marta and Maialino. She received her Bachelor’s Degree in Baking and Pastry Arts Management from the Culinary Institute of America in Hyde Park, New York. Jessica has worked in a wide range of settings, including the Apple Pie Bakery Café at the Culinary Institute of America and the prestigious Union League Club of Chicago. Erik Lombardo is the General Manager of Marta. Erik joined the Marta team in 2014 as the opening Assistant General Manager, and previously worked at Maialino, Marta’s sister restaurant, as well as Le Bec-Fin and Blue Ribbon.